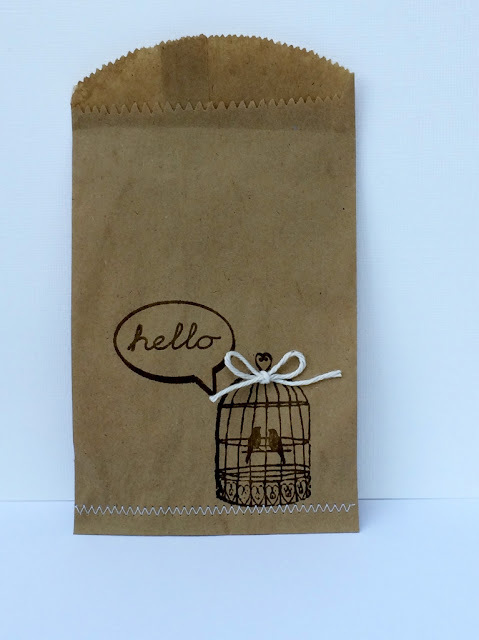 Looking for a favor bag for grown-ups? Stamp your own! Here is a super simple example of a stamped party favor bag made with a plain kraft paper bag and some Hampton Art stamps. 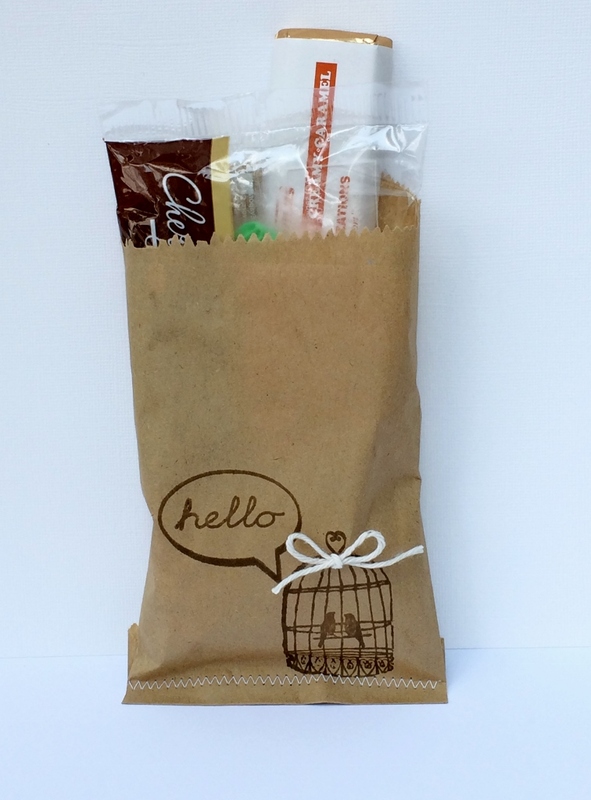 It is often impossible to find just the right party favor bags for that special event. Out of necessity, creativity happens. This is a perfect example of how those stamps in your stash can be brought back to life to dress up your next event. These bags would be fun for a ladies tea, appreciation dinner, teacher gift, the possibilities are endless. To make this one I grabbed two new stamps, one from a set the other a wood block stamp. 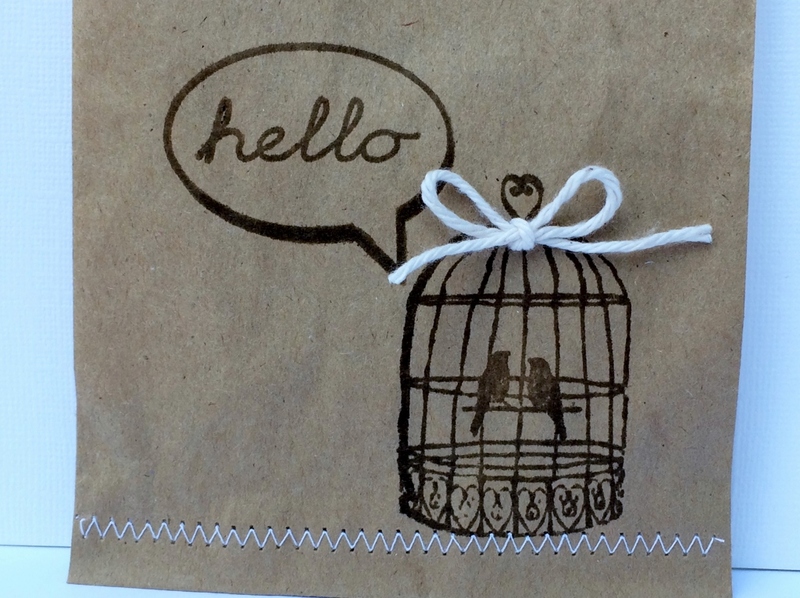 Using brown ink I stamped the bird cage image first, then I added the word bubble image. To dress it up just a bit I added stitching to bottom edge in white thread with my sewing machine and then also added a simple cotton twine bow with a glue dot. Then the real fun is choosing what to hide inside the favor bags. Sometimes less is more when we stamp. Not always my strength, but I continue to learn as I create.